You can purchase four Kids' Wings BEAR units including A Story for Bear PLUS Ice Bear, Very Hairy Bear, Bear Snores On NOW for immediate download for only $12.95! Click Here. When a brown bear becomes curious about the printed word, he is drawn to a girl who reads. He feels the emotion of the words as she reads them and falls in love with their sounds. It provides a perfect anticipatory set for encouraging students to love books, reading, and nature. 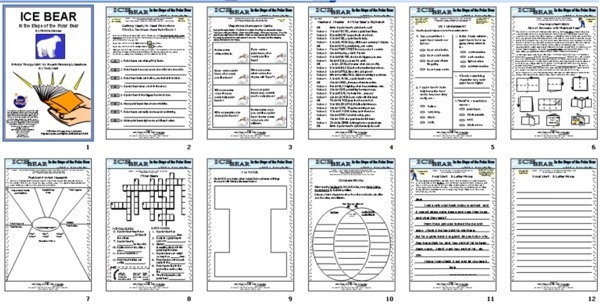 Activities in the Kids Wings unit include an easy cross-word puzzle, readers theater script, introduction to summarization, multiple choice comprehension, and more, for your lucky students in grades K-3.